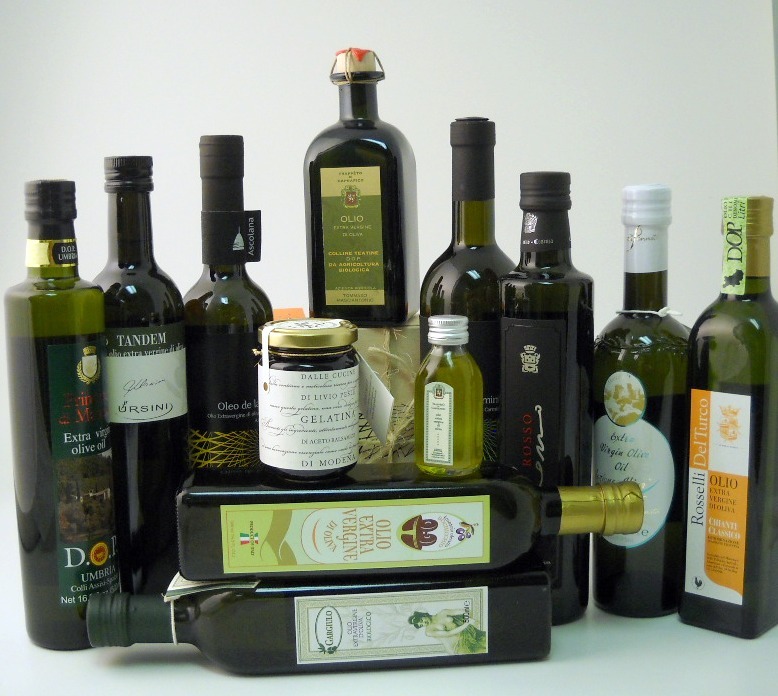 Excellent olive oil truly has the capacity to hold its flavor. I’ve been preparing food at home this week with Merlano DOP Tuscia. It does carry a best by date of 23 May 2009 (it’s on Olio2go’s Sale page), but wow, it still works in my kitchen! On Monday, we needed a quick snack so I drained a can of ceci beans (garbanzos to the rest of you), dumped them in the Cuisinart, added a clove of garlic and a squeeze of lemon–and a healthy splash of Merlano. Thirty seconds later, we had a wonderful “hummus”. Perfect with some crusty bread, and a wonderful appetizer before heading out for the evening. Last night I took home a bottle of our new Syrenum DOP Penisola Sorrentina, from Sorrento in Campania. This oil is rather “lusty” — what would an assiagiatore call it? The olives were harvested at a riper stage than one might in the north, and it also had a surprising and pleasant bitter element. If you have memories of Sorrento and Capri, this is the bottle to grab. Very nice when drizzled over pasta primavera — with garlic, tomatoes, basil, and olives. I recently had the opportunity to re-connect with Linda Mironti, a childhood friend from upstate New York. At Olio2go, we’re pleased to be able to share our connection with Linda and her adventure in Italy. Linda has created a wonderful business, Il Chiostro, creating arts workshops across Italy. Pick your passion: painting, writing, photography, cooking, and gather with a small group for a week in Italy. Tuscany, Sorrento, Venice, all great locations! Even better, the various groups share dinners, making for a fascinating way to travel and share with new and old friends. They’ll make sure you taste some great olive oil, too. Take a look at the schedule and don’t miss the captivating video!